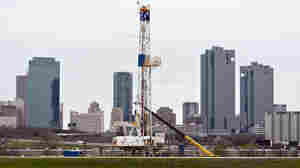 February 28, 2013  A new study of the Barnett Shale formation in Texas shows that the natural gas reservoir there will last for at least another two decades. "Turns out, what we learned is that there's a lot of good rock left to drill," says geology professor Scott Tinker, the study's author. February 14, 2013  The boards of US Airways Group and AMR have approved the merger of American Airlines and US Airways. The resulting company will become the world's largest airline. American is in bankruptcy, so its creditors will own a big chunk of the new company and US Airways shareholders will own the rest. February 14, 2013  American Airlines and US Airways have agreed to merge in an $11 billion deal that would create the world's biggest airline. For more on the merger. February 13, 2013  The boards of American Airlines and US Airways have voted on a merger between the two companies. The resulting carrier would be the nation's largest. February 5, 2013  A rare "court of inquiry" is underway for a sitting judge in Texas. 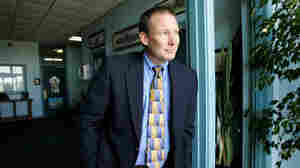 Judge Ken Anderson faces allegations that as a prosecutor he hid evidence vital to a murder defendant's case. That defendant was convicted of killing his wife, and spent 25 years in prison before being exonerated. January 22, 2013  As Democrats celebrate President Obama's second inauguration, Republicans are girding themselves for another term of what they view as misguided policies. January 17, 2013  American Airlines unveiled the first change to its logo and the look of its planes since 1968 on Thursday. 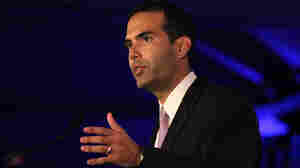 January 15, 2013  George Prescott Bush, 36, has announced he is running for office in Texas. The grandson of the first President Bush, nephew of the second, and son of former Florida Gov. Jeb Bush has already raised nearly $1.4 million. Now he just has to decide what job he's campaigning for. 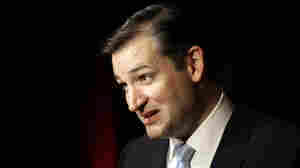 January 1, 2013  Sen.-elect Ted Cruz is a bright young Hispanic star who will be sworn in this week in Washington. Many in the GOP hope he'll be able to bring more Latino voters into their column. But Cruz takes a Tea Party hard line on immigration. December 18, 2012  As a national conversation about stricter gun control takes shape in the wake of the Newtown shooting, some are arguing instead for arming school personnel. Supporters say having armed school officials would help prevent shootings and enable staff to protect children if one occurs. December 17, 2012  A federal court in Texas on Monday will take up the case of a high school student who refuses to wear her location-tracking school ID. The 15-year-old sophomore believes the ID with the tracker is "the mark of the beast" from the Book of Revelation. December 7, 2012  A report that shed favorable light on fracking is at the center of a controversy at the University of Texas. The head of the school's Energy Institute has stepped down and another professor has retired after an investigation found numerous errors and flaws in the report — and undisclosed conflicts of interest. December 4, 2012  American Airlines is on a protracted trip through bankruptcy. The carrier has asked a judge to extend its control over its restructuring through March. American's unions want a merger with U.S. Airways. December 3, 2012  The battle over the looming spending cuts and tax increases known as the "fiscal cliff" begins this week where it ended last week — deadlocked. While there is no agreement on how lawmakers should work out the details of a compromise, there is widespread consensus that a deal must get done for the good of the country. November 18, 2012  Republican governors met last week in Las Vegas to talk about the results of the U.S. election and the path ahead for their party. 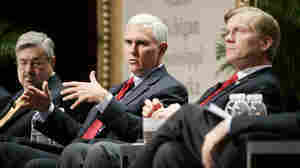 Many of the governors are standing by their positions on major issues, however, saying the main thing they need to change is their tone.